If you’re in debt, you’re not alone. About 8 in 10 people are in debt, and many will die with debt still hanging over their heads. 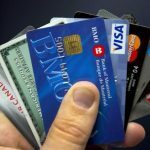 Debt is something to take seriously and, if you clicked on this article, you know it’s time to do something about it. Getting out of debt isn’t easy, but it will be well worth it. You wouldn’t want to spend the rest of your life with debt, so it’s time to take action. You can defeat your debt if you take the necessary steps. Here are five ways to get out of debt. Investment isn’t just for the wealthy. Your debt places an added financial burden on your shoulders, so it’s even more important that you take care of your future now. Open a retirement fund, and research stocks to buy. A stock market investment isn’t a good way to make money for tomorrow, but it’s an excellent way to make money for twenty years from now. Start taking care of your future by earning retirement money. It won’t hurt your situation to have money on the side. If you invest responsibly, you could ease some stress off your future shoulders. If you do choose to invest, look into socially responsible investing, and make sure your investments are as good for the world as they are for you. Budgeting might sound like a huge pain. It might also sound like “one of those things” you never seem to stick to. We all fail to complete our exercise routine every week, or keep our house as clean as we’d like. A budget, however, isn’t something with which to gamble. Do whatever you have to do to keep yourself accountable, and start budgeting with great care. If you’re afraid a budget will scare you every time you spend money, don’t worry. A good budget does the exact opposite. If you budget right, you’ll feel good about the money you spend, because you know what you can afford each month. Put a percentage of your income aside into savings, college loans, debt payment, or grocery budget. Once you know your limits, you’ll feel freer. If you’re late paying off your credit cards, you earn a higher interest. Do as much as you can to keep your interest rate low. Treat your credit card like cash; don’t spend money that isn’t in your bank account. Your budget helps with that. If you can pay every month’s bill one hundred percent, you’ll earn a better credit score, and you’ll stop adding new debt. As you attempt to pay off your cards, try to make double payments, or at least pay off more than you must every month. That added payment is interest free, so you’ll save yourself a great deal of money if you pay off more in a shorter period of time. Your goal should be to live on as little money as possible, and pour as much of your income as you can into alleviating your debt, today. If you find that you need a better income stream, make the right moves towards a better career. Check out places like NYADI in Jamacia, NY, or look into online degrees, to start pulling a better income now. If you’re like most people, you spend a couple hundred, or thousand, each year on various habits. Whether it’s something innocent, like a soda per day, or something more serious, like cigarettes, letting go of unhealthy habits saves you in the long run. If you stopped buying cigarettes, you’d save several thousand dollars each year, even if you switch to vapes instead. While it’s always better for your health to eliminate tobacco altogether, you’ll save money by using a vape mod and ejuices. Even cutting back on unhealthy eating, like frozen dinners or soda, saves you a great deal every year. Water is free, and you’re not doing your health any favors by drinking soda often. If you want to eliminate debt, once of the first steps is a lifestyle change. A budget and simple lifestyle changes may not be enough to solve your financial woes. If you need to take action about the amount of debt you owe, consider a serious downsize. If you live in a nice house, and you have a hard time paying off your debt, it might be time to move. An apartment or smaller house might feel like a culture shock to you, but downsizing is worth it, if it eradicates your debt. In fact, people who live in smaller houses tend to be happier. Getting rid of your stuff and living a more simple life might be the solution for you. It’s good for your bank account, and it could be good for you as a person, as well. A life with debt is stressful. With debt, you’re more prone to worry, and it often feels like your freedom has been removed. You can’t do what you love with the threat of debt hanging over your head. Even simple purchases feel catastrophic. You deserve to live a better life. Start purging yourself of consumer tendencies. You don’t need the best phone. You don’t need a bigger house. What you do need is a meaningful life, and part of that meaning starts with living debt free. You deserve the freedom to travel, buy a dinner out once and a while, and enjoy peace of mind. None of those things are easy, or even smart, with debt in your life. Don’t leave your future up to chance, a windfall, or a better job. Start making moves today to eliminate your debt.